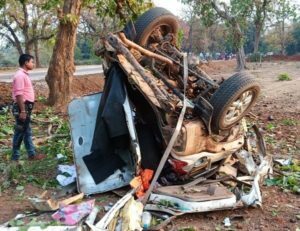 Raipur : CISF Head Constable D. Mukhopadhyay and four civilians were killed on Thursday when Maoists blew up a mini bus in which they were returning to their camp after buying vegetables and groceries in Chhattisgarh’s Dantewada district, police said. 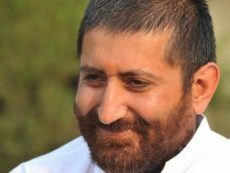 The deadly attack took place four days before the first phase of the Assembly polls in the state. It was also the third Maoist attack in 13 days in Chhattisgarh. 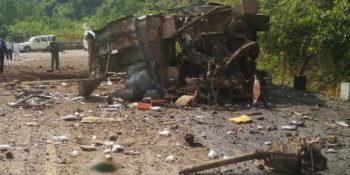 Two Central Industrial Security Force (CISF) constables and another civilian suffered injuries in the Improvised Explosive Device (IED) blast triggered by Maoists around 11.30 a.m. in a hilly area in Bacheli, the police said. The injured CISF troopers — Satish Pathare and Pishal Suraske — were shifted to a hospital. “The morale of the forces will not be affected due to such attacks. The Assembly elections will be conducted peacefully,” Inspector General of Police (Bastar) Vivekanand Sinha said. 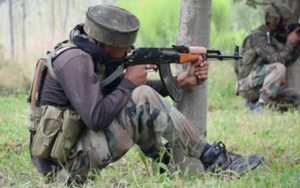 The slain 49-year-old trooper, a resident of West Bengal, was part of a CISF unit that had been deployed in Dantewada area for the first phase of the forthcoming polls in the state, CISF spokesperson Hemendra Singh told IANS. The Maoists have asked people to boycott the polls. Dantewada is among the areas going to polls on November 12 in the first phase covering 18 constituencies. The second phase of election is scheduled to be held in the state on November 20. Condemning the attack as a cowardice act of Maoists, Chhattisgarh Chief Minister Raman Singh expressed sadness over the death of CISF trooper and the civilians. “I pay my tributes to them and my feelings are with their bereaved families. I wish for a speedy recovery of the injured. This act of cowardice is a sign of weakening of Maoists,” he tweeted.